A quick note: the Kindle edition for my latest edited volume, Tikkun Olam – To Mend the World: A Confluence of Theology and the Arts, is now available from Amazon in the U.S., UK, Canada, Germany, France, Spain, Brazil, India, Japan, Italy, and Mexico. Those in Australia can download a copy from here. For those after a paper copy, the publishers, Wipf and Stock, are selling discounted copies for under US$21. Details here. The essays compiled in this volume, each in their own way, seek to attend to the lives and burdens and hopes that characterize human life in a world broken but unforgotten, in travail but moving toward the freedom promised by a faithful Creator. Bill Dyrness’s essay focuses on the way that the medieval preference for fiction over history has been exactly reversed in the modern period so that we moderns struggle to make a story out of the multitude of facts. Employing Augustine’s notion of signs as those which move the affections, the chapter develops the notion of poetics as the spaces in peoples’ lives that allow them to keep living and hoping, suggesting one critical role that art can play in imagining another world, a better world. For art offers to carry us to another place, one that doesn’t yet exist, and in this way offers hope and sustenance to carry people through the darkest times. This is illustrated by the outpouring of Haiku after the recent tsunami in Japan, or in the spaces made available for poetry in Iraq. Most importantly, it is underwritten by the centrality of lament in the biblical materials wherein we are reminded that lament and prophecy provide aesthetic forms that carry believers toward the future that God has planned for the world. The essay by Trevor Hart considers the place of human “creativity” (artistic and other sorts) and seeks to situate it in relation to God’s unique role as the Creator of the cosmos. It draws on literary texts by Dorothy Sayers and J. R. R. Tolkien, as well as theological currents from Jewish writers and Christian theologians, to offer a vision of human artistry as (in Tolkien’s preferred phrase) “sub-creation,” a responsible participation in a creative project divinely initiated, ordered, and underwritten, but left deliberately unfinished in order to solicit our active involvement and ownership of the outcomes. Beauty, Hans Urs von Balthasar has suggested, is “a word from which religion, and theology in particular, have taken their leave and distanced themselves in modern times by a vigorous drawing of boundaries.” More recently, a number of theologians have addressed this distance and attempted to dismantle the boundaries widely assumed between certain Protestant theologies and the realm of the arts or aesthetics. In her essay, Carolyn Kelly seeks to contribute to that communal exploration by addressing the particularly imposing boundary line demarcating, on the one hand, Reformed affirmations of the beauty of Truth and, on the other, a Romantic commitment to the truth of Beauty. Kelly reflects on what Romantic and aesthetic “sensibility” might gain from its modern counterpart and, in turn, what Reformed theological “sense” might have to gain from a re-cognition of Beauty. But what place is there for extravagant works of beauty in a world tarnished with the ugliness of poverty and injustice? This is a question taken up by Jonathan Ryan in his essay. Beginning with the recollection of the disciples’ objection to an extravagant act of beauty retold in Mark 14:4, Ryan allows the “anointing at Bethany” narrative in Mark 14 to frame this question and to suggest the legitimacy—and necessity—of works of beauty and creativity for bearing witness to God’s extravagant love for the world. 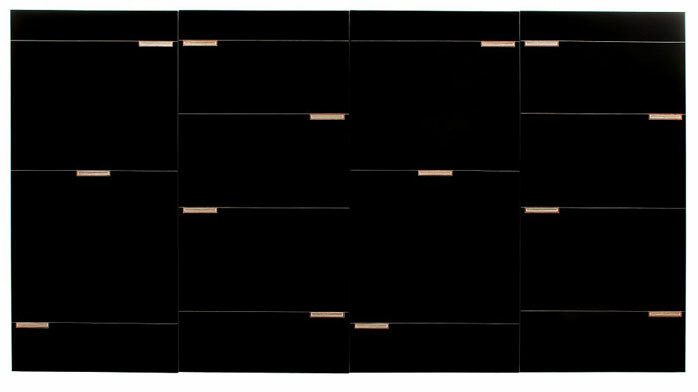 Libby Byrne’s essay explores the premise that the artist’s calling is to “live close to the wound.” Locating this contention within the nexus that seems to exist between art, theology and philosophy, she argues that we are able to consider the prevailing conditions required for the artist to work toward the task of mending that which is broken, and, drawing on theory from Matthew Del Nevo and Rowan Williams, Byrne helps us understand the importance of melancholy and vulnerability in the sacramental work of human making. She provides examples of how this theory may work in practice with particular reference to the work of Anselm Kiefer and finally with her own studio practice, reminding us that it takes courage to choose to live and work close to our wounds, and also that by so doing the artist not only opens themselves to the possibility of transformation but also offers to others gifts that reverberate within the world and that call us to healing and wholeness. New Zealand artists Allie Eagle and Joanna Osborne discuss the Sudden Imperative, Eagle’s art project that reframes much of the ideology she held as a feminist separatist during the 1970s. They also outline a reappraisal of direction and motivation in Eagle’s thinking and highlight the theological and reconciliatory center of her current art practice. 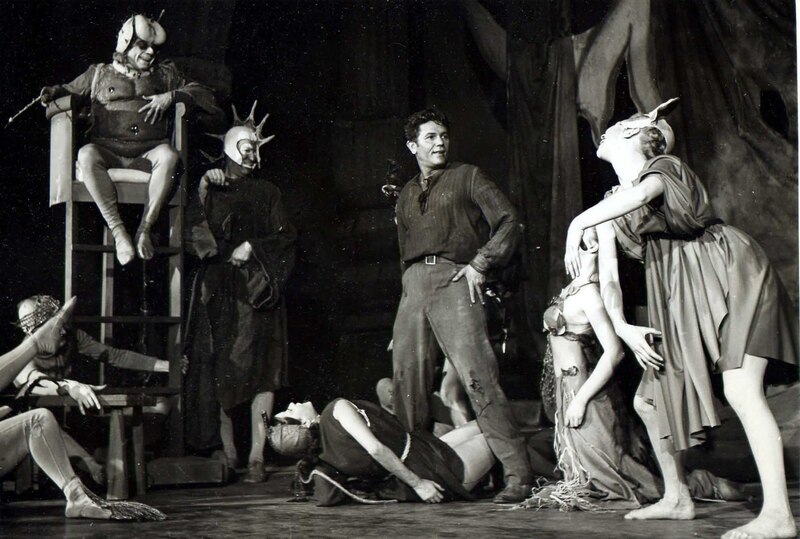 Murray Rae takes up the question posed by Theodor Adorno following the Jewish Holocaust and considers whether art can have anything at all to say in the face of evil or whether some evils might, in fact, be unspeakable. Through a consideration of architecture and, in particular, the work of Daniel Libeskind at Ground Zero and in the Jewish Museum in Berlin, Rae contends that while architecture, along with the arts more generally, has no power to redeem us, much less to make amends, it can nevertheless give expression to our memories, our sorrow, and our penitence. He concludes that art may also reveal the extent to which the Spirit is at work within us, prompting us toward forgiveness and reconciliation and a true mending of the world. In his essay on the Irish poet Seamus Heaney, John Dennison argues that one of the most notable—and least understood—aspects of Heaney’s trust in the good of poetry and the arts in general is the way in which his account approximates religious faith. Some critics have been encouraged toward the conclusion that Heaney’s poetics constitutes an active (if heterodox and often apophatic) extension of Christian theology through the arts. Most importantly here, John Desmond in his book Gravity and Grace argues that Heaney’s writings assume certain fundamentals that mark his transcendental cultural poetics as Christian. Central to Heaney’s thought, Desmond insists, is the doctrine of the Incarnation. Christian doctrine, and in particular the doctrine of the Incarnation, is indeed central to understanding the character of Heaney’s public commitment to the restorative function of art. But, Dennison argues, if we attend to the development and structures of Heaney’s thought, we can see how this influential account of the arts’ world-mending powers is not so much extensive with Christian soteriology as finally delimited by the biblical and theological descriptions it knowingly appropriates. It allows us to see, also, the degree to which Heaney’s trust in the adequacy of poetry turns on a refracted after-image of Christian doctrine, particularly that of the Incarnation. Julanne Clarke-Morris’s offering proposes that multimedia worship and worship installations would benefit from a more consistent approach to aesthetics and context than is often the norm. She suggests that new media art forms offer communities of faith a range of ready-made critical practices that could amiably be brought to bear in the case of liturgical installation art. Seeking to draw attention to the coherence and communicative power of multimedia liturgical installations in order to improve both their accessibility and artistic credibility, she investigates some significant insights from virtual reality art, immersion art, multimedia installation art, and site-specific art as resources for preparing worship installations and assessing their effectiveness. The closing essay, penned by Steven Guthrie, bears witness to ways in which Christian scripture and the Christian theological tradition both testify to a natural world that has a voice; one that not only speaks, but sings. The Hebrew prophet Isaiah speaks of mountains and hills “bursting forth in song” (Isaiah 55), and St John exiled on the island of Patmos listens with astonishment to “every creature in heaven and on earth and under the earth” singing (Revelation 5). This idea is taken up in turn by Augustine, Boethius and many others in the tradition, where it is often joined to the Pythagorean idea of “the music of the spheres.” According to this tradition, all of creation comprises a finely tuned symphony, the combined voices of which articulate the Creator’s praise. This tradition of thought—conceiving of the world as a singing creation—is a valuable resource for all who hope to faithfully care for God’s world. The musical creation described by Augustine and other theologians is a beautiful and profoundly interconnected cosmos, filled with an astonishing harmony of human and non-human voices. In this universal song, humans have a vital but circumscribed role. Silence, song and harmony have the capacity to make us more—or less—fully aware of, and more—or less—responsive to the world we inhabit. Music may act as a kind of aural armor by which we shut out the voices of the creation and others who inhabit it. It may also be a weapon by which we dominate the surrounding space. Or music may be a schoolmaster from whom we learn attentiveness and responsiveness, and with which we might join with all creation to participate in God’s symphonic work of healing the creation. In July this year, the Department of Theology and Religion at the University of Otago hosted the first of what promises to be a biannual lecture series in honour of Professor Albert Moore. This year’s lectures were delivered by Professor Jonathan Mane-Wheoki, Professor of Fine Arts at Elam School of Fine Arts at the University of Auckland, and addressed the theme ‘Toi Karaitiana: Christianity and Māori Art and Architecture’. My friend Andrew has also provided a wee summary of the lectures here. 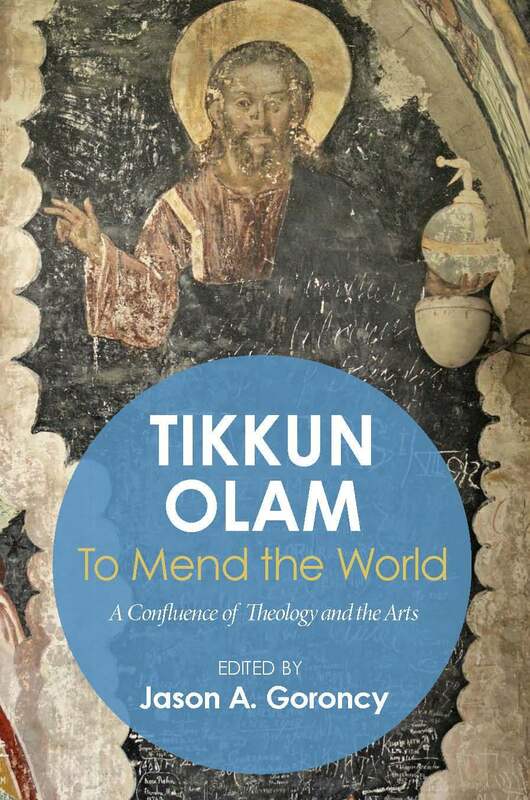 Recently, the publishers, essayists and myself have picked up a gear or two with the final edits on the forthcoming book “Tikkun Olam”—To Mend the World: A Confluence of Theology and the Arts (Pickwick Publications). The book is a collection of essays premised on a very basic conviction that artists, theologians and others have things to learn from one another, things about the complex interrelationality of life, and about a coherence of things given and sustained by God. The essays therein attend to the lives and burdens and hopes that characterize human life in a world broken but unforgotten, in travail but moving towards the freedom promised by a faithful Creator. More specifically, they reflect on whether the world – wounded as it is by war, by hatred, by exploitation, by neglect, by reason, and by human imagination itself – can be healed. Can there be repair? And can art and theology tell the truth of the world’s woundedness and still speak of its hope? ‘Artistically sensitive, theologically rich, and eminently readable – this is a rare combination, but it is amply demonstrated in this fascinating set of essays’. ‘Emerging from a theological symposium and an art exhibition, the essays in this book show in glorious profusion and profundity the marks of this double origin. Theologians, artists, literary scholars, and musicians combine to bear witness to a world that is broken and yet is also the stage for a decisive event of divine love and healing. These are essays full of insights about order and disorder, beauty and tragedy. Their achievement is to make the reader think and, above all, imagine’. When the book becomes available, I’ll be sure to let readers here at Per Crucem ad Lucem know. The department of theology at Durham University is hosting a one-day colloquium (13 June) on Ecumenical Readings of Aquinas. It will include presentations by Andrew Davison, Christopher Insole, Marcus Plested and Lewis Ayres. Details here. The Australian Catholic University is organising a conference titled ‘Addressing the Sacred through Literature and the Arts’ (2-3 August). The conference will aim to ‘address acts of creation and co-creation and encourage a dialogue between artists, scholars and audiences in a mutual exploration of the sacred’. Keynote speakers are Amanda Lohrey, Kevin Hart and Rosemary Crumlin. Details here. For details about other theology conferences, visit here. While their respective projects are not always as divorced from one another as is sometimes suggested, it would be fair to say that theologians and artists do not always share the same concerns. That said, I suspect that every reader of the Book of Psalms will have sensed something germane to the vocation of both theologian and artist. Both are concerned, it seems to me, with a deep commitment to fostering and sharpening a triple vision—to take seriously what has been, what will be, and what is contemporary. (Another way of thinking about this is to simply take the journey with St Paul through Romans 5 to 8.) 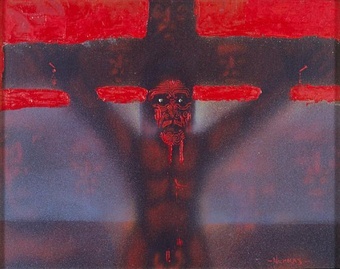 And theology, like art, responds to that triple awareness, resists the temptation to dissect the tri-part vision, and keeps asking—in its own particular way and with its own particular tongue—the foundational questions for all being; namely, who is Jesus Christ, and what has God done, what is God doing, and what has God promised to do in him? Put otherwise, both art and theology properly seek to speak about what our eyes have seen, about what our ears have heard, about what our lips have tasted, and about what our hands have touched. And both are equally concerned with the matter of hope—about what our eyes hope to see, our ears hope to hear, our lips hope to taste, and our hands hope to touch. And both are concerned too to be attentive to the immediate, to what is, to those realities contemporary to our senses. 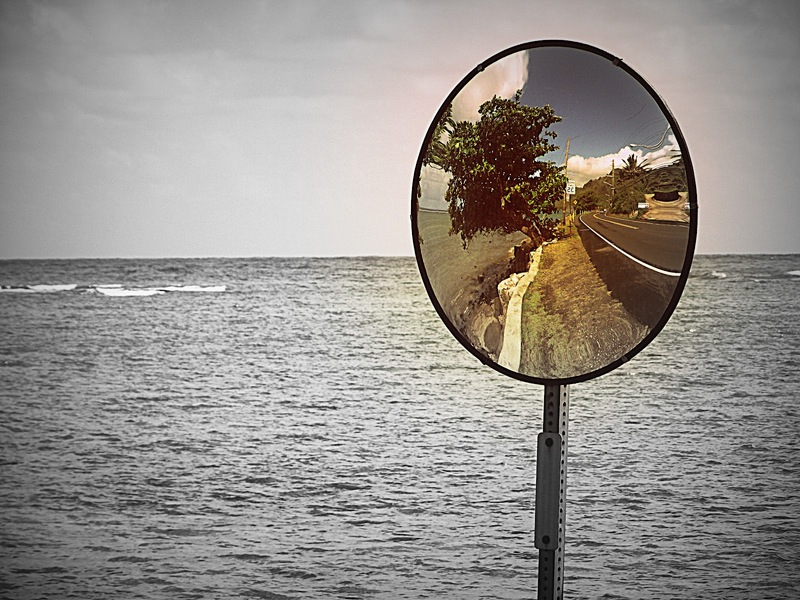 So art and theology are fixed on a triple vision—of attention to what is behind and before and over the horizon—a vision grounded in the history of God’s own past, future and contemporaneity. Those for whom Per Crucem ad Lucem is a regular stopping place will know that recent months have seen me involved in birthing a twin project called To Mend the World. With the exhibition now in full swing (at the Temple Gallery) and the conference furniture packed away, it’s good to be able to pause a while, to claim some space to do an initial reflection. It has been a wonderful and wonderfully-full two days. It has certainly been a privilege to be part of a small band who together envisioned the conference, whose energy made it possible, and whose commitment to the conversation between art and theology is long and outstanding. We had a great line up of speakers who, via some wonderfully-stimulating presentations, modelled what the organisers of the conference had hoped – a humble and respectful but no less critical and intelligent conversation by artists and theologians around the conference theme of ‘Tikkun olam’. We were overwhelmed by the number of people who registered for the conference – around double what we had initially anticipated – plus a number of welcomed-walk ins too, all of whom engaged in the conversations with enthusiasm and grace. Like every conference of which I’ve been a part, this one too provided opportunity to re-connect with friends, to finally put some faces to names, and to meet in-the-flesh those with whom one has only ever ‘met’ in e-land. Of this latter category, it was really great to finally meet Paul Fromont, with whom I enjoyed a very rewarding conversation and my first pint of Moe Methode. An event of this kind is an all-too-rare thing, and its happening has been both a real joy and a long-time goal for me personally. I hope that all who attended left the event as encouraged, challenged and enriched as I was by the encounter. Chris Brewer interviews Alfonse Borysewicz – Part I and Part II. Chris Smith reviews Bill Dyrness’ latest book, Poetic Theology: God and the Poetics of Everyday Life. Jonathan Master reviews Beauty Will Save the World: Recovering the Human in an Ideological Age by Gregory Wolfe. Peter M. Candler on The Tree of Life and the Lamb of God. Jim Gordon on Hieronymous Bosch and Being Human. I want to give the ‘To Mend the World’ conference and exhibition one final plug. The conference runs from 29–30 July, and the exhibition from 29 July through to 6 August. It really is shaping up to be a very exciting twin-project, with an impressive line-up of speakers and artists. Registration for the conference has exceeded expectation, and is still open if you’re keen to attend. The sixteenth-century Jewish mystic, Isaac Luria, made much of the notion of tikkun olam, a phrase which we might translate as ‘to mend the world’. Luria believed that the Creator of all things, in deciding to create a world, drew in – contracted – the divine breath in order to make room for the creation coming into being. In this enlarged space, the Creator then set vessels and poured into them the radiance of the divine light. But the light was too brilliant for the vessels, causing them to shatter and scatter widely. Since then, the vocation given to human person has consisted of picking up and to trying to mend or refashion the shards of creation. Tikkun olam is also the theme of a conference and exhibition that I’m involved in organising, and which will take place in Dunedin this July. It is shaping up to be a very exciting twin-project, with an impressive line-up of speakers and artists. Registration for the conference has exceeded expectation for this stage so far out from the date, is still open, and there’s still some time to get in on the ‘early-bird’ rate. The Institute for Theology, Imagination and the Arts is hosting an international conference at which artists, biblical scholars, historians, theologians and others will explore the shaping impact of the Psalter on western imagination.